Secure your perfect domain name from our 50+ domain extension offering. Brilliant support and extensive domain management are features that we offer with every registered domain name. Our renowned domain management system lets you manage hundreds of domain names with ease. With our intuitive domain management interface you will have full control over domain names registered with us. When a domain is registered, there is a risk that your personal information such as your name, address, e-mail and contact number could be exposed to spammers & marketing firms. Whois Protection helps elimiate such privacy issues by hiding your personal information from public. 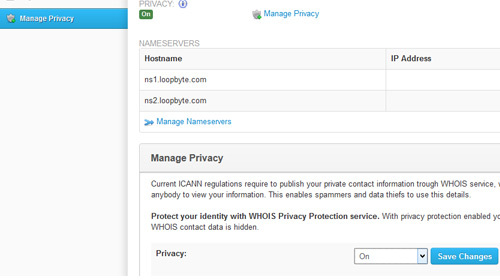 Subscribe to our Whois Protection addon and have a secure online presence without revealing your personal information on the web. Domains can be transferred to another registrar when required however there is a possibility that a domain could be hijacted or theft, when Registrar Lock is enabled it protects you from such unauthorized domain transfers. 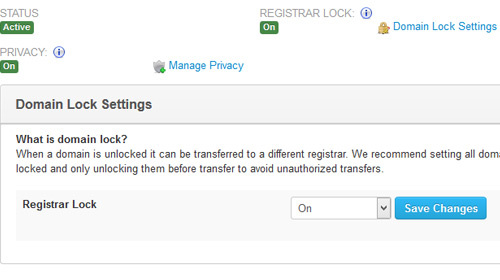 If you intend to transfer the domain to another registrar, you must disable the registrar lock. With every domain registered you will have full access to your domain names management option. 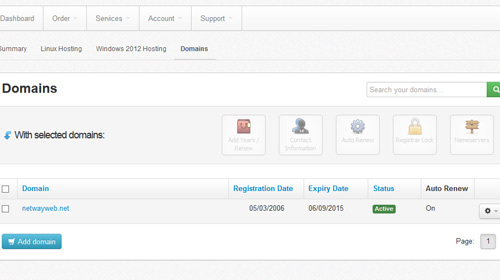 An easy to use web interface provides full control over your registered domain names. You will have access to options such as lock/unlock domains, change/update name servers, register private/child name servers, modify registrant contact details and much more.